Technicians in Scientific Instruments (SI) have found a way to improve the efficiency and effectiveness of the many facets of their field services. Typically, SI technicians are reliant on their shop environment to accomplishing things like accessing service manuals, transcribing field notes, documenting services in the data base, and ordering parts. 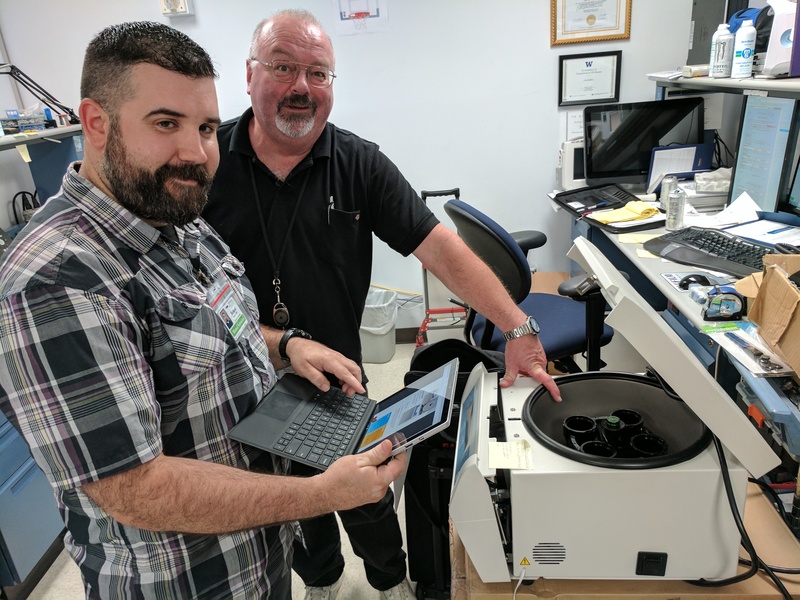 Recognizing the potential increase in efficiency that mobile technology could provide, SI technicians launched the ‘SI Tablet Pilot’ using customized Microsoft Surface Pro 4’s developed in collaboration with Health Science Academic Services & Facilities IT Services. The benefits of having the Surface Pro’s in the field were immediately obvious. Participating technicians reported better efficiency and effectiveness in performance of daily duties. As a result, use of tablets in the field of service will be expanded to all technicians, with continued tracking of effectiveness and efficiency improvements.